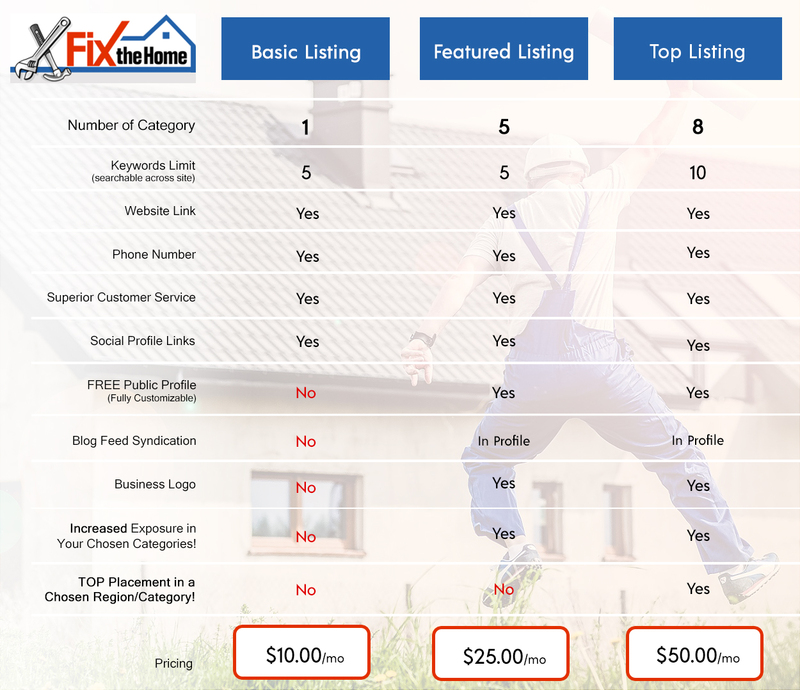 With Fix the Home, there are great ways to generate home improvement leads and remodeling leads for your business. With this option you'll get a listing on our website in the region and category that is most relevant to your business. Prospects who visit our site will see your business listing, and will have your address and contact information. Best of all, the price is VERY AFFORDABLE. It must be a quality article about a relevant home improvement topic (up to 2,000 words). Bulk discounts are available, to submit a article to be placed on our site, please email us at: info@leadsonlinemarketing.com.